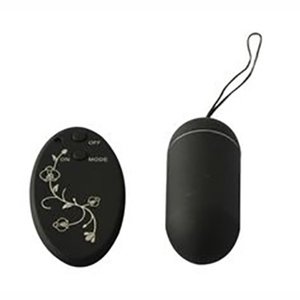 This 20 Function Wireless Remote Mini has a smooth satiny texture, is pleasantly discreet and works up to 50 feet away! With a remote for hands free pleasure, so your partner can tease, please and startle you by varying the vibration patterns whether you're at home or in public. And it is waterproof, so you can add some fun to your shower play too! Have some wireless fun tonight and whether it is for you or your partner, this little mini packs the punch to help you achieve those orgasms with quicker and greater intensity. Smooth satin finish on the egg glides over the body. Remote has a range of up to 50 feet. Made using phthalate free, non-toxic materials.